Designed to give Unit leaders and members all the tools they need right at their fingertips, the DAVA Membership System is online for quick access and information. 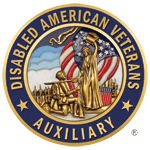 If you are a member and would like to access DAV’s Membership System, simply log onto https://www.davmembers.org with your membership credentials and you are ready to go! Members can update their personal information, request transfers and make payments toward full life membership. Unit leaders can access population summaries, membership lists, and other useful reports and information.